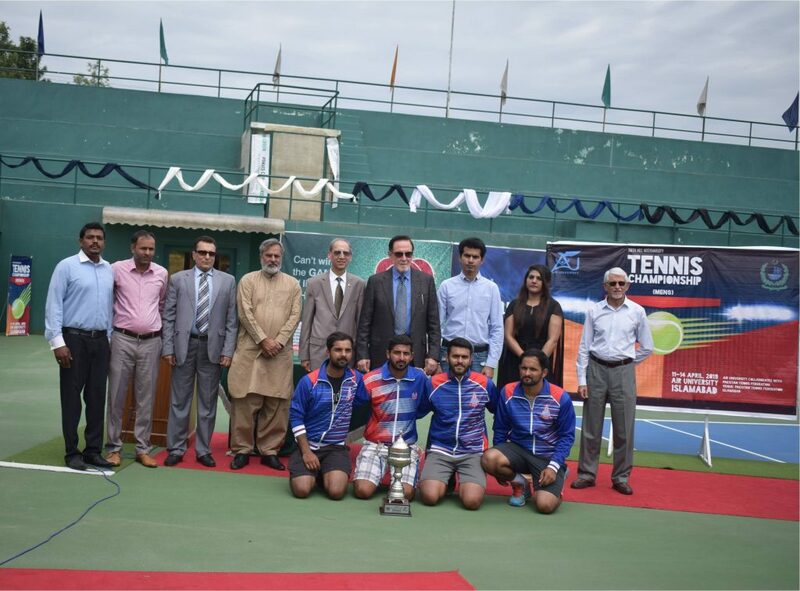 ISLAMABAD: HEC 38th Inter-varsity Men’s Tennis Championships 2019 concluded with UCP – University of Central Punjab defeating LUMS – Lahore University of Management Sciences at the PTF Complex, Islamabad. UCP – University of Central Punjab beat LUMS -Lahore University of Management Sciences 2-1. AUP – Agriculture University Peshawar beat UoP – University of Peshawar: 2-0. The Chief Guest Mr. Salim Saifullah Khan, President PTF, along-with Air Vice Marshal Tariq Mateen (Air University), Mr. Muhammad Asif, Assistant Director (HEC Sports Directorate) and members of the PTF Management were also present on the occasion. The event was organized by Air University, Islamabad under the auspices of HEC. Previous articleFootball – Juventus Title: SPAL Win Puts Celebrations On Hold!